Another gem from our friend Duo Dickinson. Every Saturday I look forward to working out: not because the joys of the BowFlex are thrilling, but because I love the dull repetition of cable TV Law & Order reruns that are on from 5am till midday. Every Saturday I also look forward to going to church on Sunday and being part of services that are as unchanged as are each of the hundreds of Law & Order episodes I grind away to (sometimes while I write) (this piece, for example) (these golden offerings are rendered during the in-prison murder arranged by a guard episode) (he gets off). 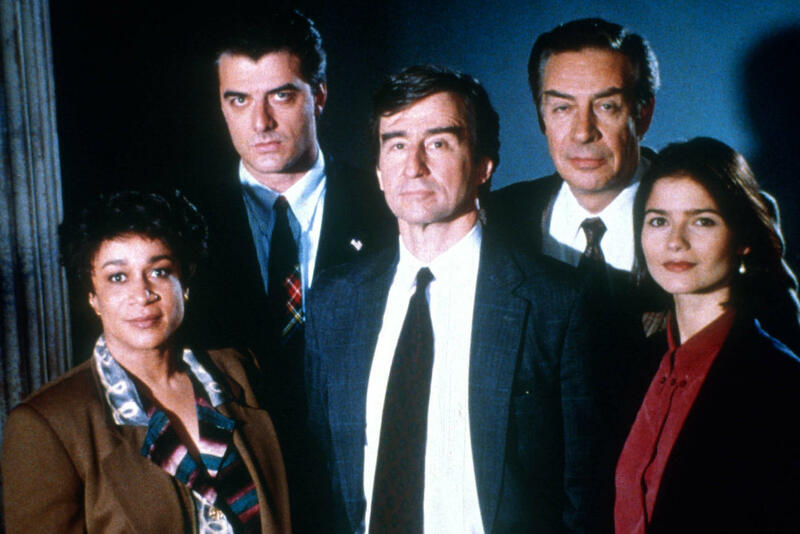 But more, the Law & Order I watch is the original, vintage: just humans doing bad, and good – no affected overlays of personalities and premises of the zillions of the series’ spin-offs. I know each ending upon watching the beginning, always framed by crime scene and verdict: it is a rigid 52 minute dramatic straightjacket of common characters and infinite evolutions within the straight jacket. The church services I love the most, in an autonomic devotion at the first words spoken, are from the 16th century: the Original Series of Episcopal services: Rite 1. They have the same beginning, middle and end. I know them like my 35 year old tweed jacket, inside and out, and the love grows each time I put it on. The gut connect to repeated sounds and stories are not just the comfort tools of parents for the crying child, they are the engrained associations of sights and sounds to the things we do. I do not particularly like baseball – but I love listening to Yankees games on the radio: specifically the artisanally homer announcers- who repeat calls of homers and outs and innings and beginnings and endings of games with ritualistic consistency that soothes my savage brow into sleep – or mowing the lawn with a small amount of patience. If I was under 40 I would stream and download the weekend cable TV episodes off some web provider and watch them every day, pre-sorted to eliminate the undesirables. But that would be insanely boring: having watched each episode scores of time, watching them 3.5 times as often would take a lite obsession into compulsive binging. Besides waiting to see which episode follows another is like Forrest Gump’s box of chocolates: I know they are chocolates there but each one is a (very small) surprise. If I wanted to be thrilled and surprised by the presentation of the Prayer Book I would simply go to a different church every Sunday, swapping denominations, settings, music and words every week. But I am deeply delighted to be married for 37 years and counting: a lifetime of momentary thrills in a change for change sake ethic is for rush junkies: therefore No Annuals. Am I boring? Probably. Am I the future of the Episcopal Church? Absolutely not: but should all the perennials, the original Law and Order of the Prayer book be part of the Episcopal Church? It will not live through this arid secularity without roots. The future of any devotion that sustains connects with breadth as well as spark: first dates can be electric, but lifelong happy marriages share more than electricity. We are becoming a binary place: Red/Blue: dueling Inauguration attendance reporting wars, inverse interpretations of same facts – not unusual for America, especially in the InterWebNet Age. We have “our” teams rather than enjoy the sport. Church is becoming lamer by the minute in the northeast as inverse interpretations of meaning become our cultural priorities: soccer practice, brunch, and planting annuals offer deeply compelling distractions. I think very few of us watch the 5am episodes of the artisanal original Law & Order series. Probably fewer every ratings period. That programming is not the future of cable TV. But Shakespeare is not the future of theater. Emily Dickinson is not the future of poetry, Bach is not the future of music. But music, poetry and theater are lessened when what they are is edited to that loved in any given moment. There is joy in looking at my week and knowing, knowing, what happens on Sunday – a thing I have had in my life for over 60 years. Rite 1 services, especially Morning Prayer, are time capsules, just like those perennials, and those old Law & Order episodes. Beyond what they are in the moment they embody the entire history from origin to the moment you experience them, once again, – it adds a lustre no marketing or newness can simulate. I could be sleeping (if I could sleep) instead of working out every early AM. On weekends I could watch MSNBC like every weekday morning that I crank away on the recumbent bike: but living only in the moment loses something: something that is unavoidable. What made us. Law & Order episodes have been at the periphery of my life for 25 years, Morning Prayer is a recurring beat in the baseline of 61 years dancing to what life is at any given week. I cannot avoid their reality in who I am, so I embrace them. I did not choose to believe in God. Part of me thinks everything would be easier if I could just plant annuals. But God was planted in me, He is perennial, I cannot avoid Him, no matter what the distraction. I guess the means of planting are pretty Mid-Century; suburban low church Episcopalian ritual, but it’s now woven into my genome. As Joni Mitchell warbled “You don’t miss what you’ve got till it’s gone.” The canary in the cave is Morning Prayer, Rite 1 just beyond, and further away the Episcopal Church as I knew it may succumb to the vapors of indifference, irrelevance, and the easy rejection of its assumed lameness in the effort to compete with brunch. “Nothing focuses attention like the hangman’s noose.” And some in the Episcopal church think Rite 1 and especially Morning Prayer are toxic poison pills forcing people out of pews and into their gardens. But rejection is just the easiest form of change. The binary of exclusive win-lose dooms each side to temporary victories that are only good for the victor in the death match. If nothing of “the other” is acceptable, any validity in the “the other” is summarily dismissed. Hillary must be locked up. Trump must be impeached – now. In the death match between legacy and relevance for all things cultural I think there is greater relevancy when legacy is celebrated amid the flow of moment. Either/or picks a side and rejects another, stuff dies: but in a both/and mindset much is sustained. ….Oh, wait, it’s the episode with the adopted kid in the family that owns the leather coat shop that murders his grandfather…gotta go. “But music, poetry and theater are lessened when what they are is edited to that loved in any given moment.” Prose magic.